While any time clock system is better than none, like all things in life, not all time clocks are made equal. One of the largest advancements in time clock systems is the advancement and integration of biometric technology, such as fingerprint and facial scanning. These technologies scan and analyse the unique biological identifiers of an individual to authenticate their presence and are incredibly difficult to fool. So, if you are considering switching to a fingerprint or facial time clock, here are some of the great benefits of biometric time clocks. While we like to think that all of our employees do the right thing, there are those that take advantage of old-fashioned punch clocks and swipe cards. In fact, time theft is more common than you think, with people often buddy punching (getting a co-worker to punch them in) or rounding up self-logged hours to score more on their pay check. With biometric scanners, such as fingerprint or facial scanning, each employee must make contact with, or be in close proximity to, devices or cameras in order to log into the time clock. This means you can ensure that you are not losing profits to time theft through proxy attendance or dishonest time sheets. By relying on biometric time clocks, you can ensure that all of your employees are where they are, when they say they are. This allows you to keep tabs on your employees without having to visually sight them throughout the day. You can also integrate tracking software with your time clock system to alert you to absenteeism so it can be addressed in a timely manner. Many biometric time clock systems can also be integrated with other software to streamline business analytics and procedures. With a fingerprint or facial time clock system you can create end to end payroll software and scheduling systems, so you can keep track of overtime hours and owed leave. This will ensure that your employee pay checks are always accurate. 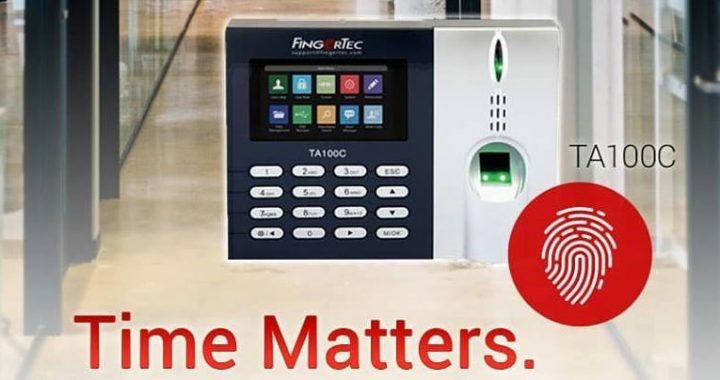 If you are interested in upgrading or installing a more accurate time clock system, then a biometric time clock is the solution for you. To learn more about our innovative FingerTec range contact BioAccSys Australia today.